Last night I did something pretty cool -- I attended a painting class taught by the amazing Evelyn Henson. She's ALSO a fellow Furman alum, and a fellow ADPi too, but (ahem) quite a bit younger than me. Anyway, she's tearing it up in the art world and she has also partnered with our local Make A Wish Foundation to teach art classes to novices like me and donate proceeds to a very deserving charity. 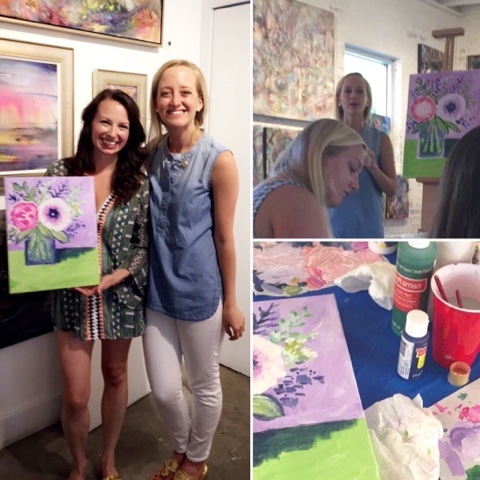 I wanted to share some photos of last night's class with you for anyone in the Charlotte area -- or anyone who may be an artist themselves and could take a page from Evelyn's book and plan a really fun girls night out like this! The class was taught at an art gallery. Each table was already stocked with canvases, acrylic paints, paintbrushes in two sizes, and water cups. 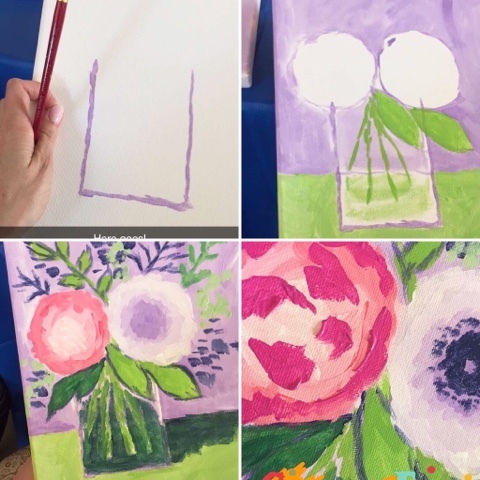 Evelyn walked us step by step through the process of creating a gorgeous floral painting like hers and even helped those who wanted to customize their colors (I used the same colors as hers, because why mess up genius?!). I'm SO glad I took this class. It was a step out of my comfort zone; I left both girls at home, obviously, and I knew no one else in the class! But it was a fabulous way to chat with some new ladies and try to hone a new skill. And you know what? I think I might be making a trip to Michaels soon to pick up another canvas. I think this vase of flowers needs a mate! To see the upcoming class schedule, click here. What a fun idea! I laughed out loud at your shorts comment! I thought you looked great! what a fun idea:) have a great day! Your legs look great ;) And so does your painting! I am the least artistic person in the world. This looks like so much fun! I also love encountering fellow Furman alums when I'm out and about! Ahhhhh I totally want to do this!!!!! I love these kinds of classes. I do them with my girlfriends a couple times a year. So fun and your painting is amazing! Mine would have looked like a 3 year old painted it!! I had no idea Evelyn was an ADPi alum also... sister sister! 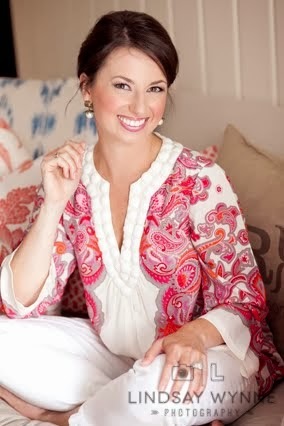 :-) I love her beautiful prints and this sounds SO FUN!! Definitely going to try to sign up for one of these sometime.